AUDUSD is chiefly under the influence of Australian and Chinese PMI. 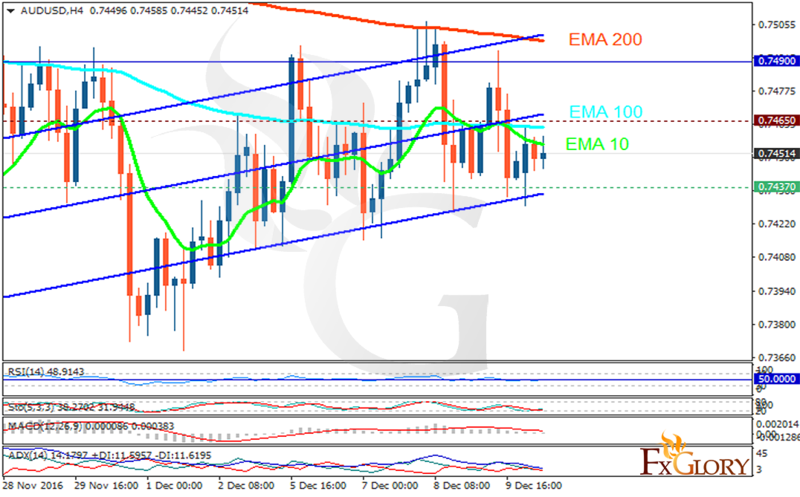 The support rests in 0.74370 with resistance at 0.74650 which both lines are above the monthly pivot point at 0.74900. The EMA of 10 is moving with bearish bias and it is located below the EMA of 100 and the EMA of 200. The RSI is moving on the 50 area, the MACD indicator is moving in positive territory and the Stochastic is showing upward momentum. The ADX is showing buy signal. Long positions are recommended for short term traders targeting 0.7500 then sellers can wait for price decline.